Here's Joe's 440 4-barrel mill. 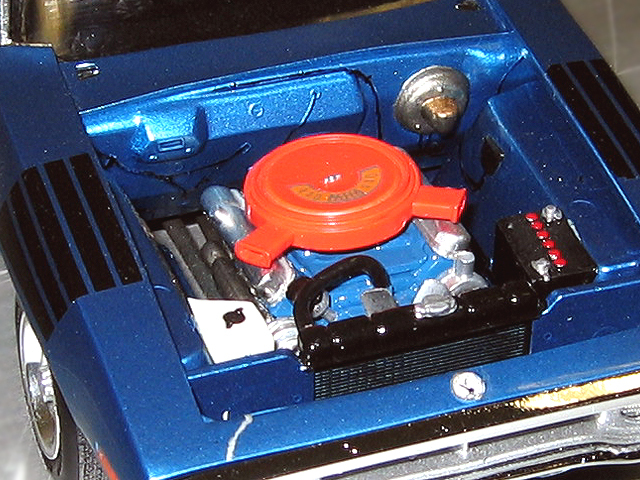 The engine is pretty much just as it came in the kit, but Joe found a dual-snorkel air cleaner in his partsbox that is a dead-on match for the correct 1972 unit. Check out those snorkles, he opened them up for more realism.